SINGAPORE: Three new housing areas will be launched over the next few years, offering 40,000 new homes in all. 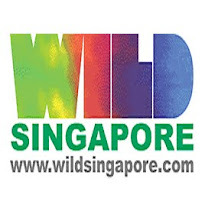 They are Punggol Matilda, Tampines North and the new centrally-located estate of Bidadari. Homebuyers will be able to apply for units as soon as September -- when some 500 units at Punggol Matilda are launched by the HDB. From waterfront living at Punggol Matilda, to a boulevard park at Tampines North, and preserving the heritage and greenery at Bidadari -- these plans were unveiled by National Development Minister Khaw Boon Wan at the HDB's "Future Homes, Better Lives" Exhibition. Mr Khaw said: "The plans for Bidadari, Tampines North, and Punggol Matilda, will capitalise on their individual distinctive character so that they can all achieve a unique identity and provide a unique living experience. "The planners of HDB have carefully built on each estate's history, distinctive local flavour and features. As we rapidly expand our building programme to create new precincts in new towns, my instruction to HDB is to seize every opportunity of building new precincts, to build on our strong foundation, so as to advance our social mission. Every new town must be better than the previous one." Punggol Matilda, which is about one-tenth the size of Toa Payoh town, and will be a waterfront home to about 28,000 residents with 8,000 flats. One of seven distinct districts in Punggol new town, Punggol Matilda will take inspiration from the historic Matilda House in its area -- this will be reflected in a new housing form that will be offered. The district will also pilot a new "landscaped deck" housing concept -- where centralised amenities are built on elevated decks, with car park facilities underneath. The HDB said this will allow more generous building-to-building space and give residents "door-step" accessibility to precinct amenities located on the landscaped deck. The second new area is Tampines North -- an extension of the existing Tampines town. Taking after the town's shape as a leaf, it will see a boulevard linear park serve as the "main vein". With an area of about 240 hectares, it is also about three times the size of Bidadari estate. The district will house about 21,000 units -- with about 80 per cent being public housing, and the rest private housing. The first public housing units will be launched in the second half of 2014. Perhaps the most highly anticipated is the Bidadari estate, located in central Singapore. Once a cemetery, it is now a green space and recreation area for residents around the estate. With a land area of 93 hectares, Bidadari is expected to have 11,000 residential units -- with about 90 per cent set aside for public housing. The first flats will be launched in 2015. The existing greenery will also be preserved with a new park, and a lake being planned as the green lung for the area. The Upper Aljunied Road will also be fully pedestrianised. All the building in the three areas will be about 16 to 17 storeys tall. Property analysts expect the Bidadari Estate and the Punggol Matilda district in particular, to prove popular with homebuyers. "Bidadari because it's around the city fringe and also around the Bidadari estates there will be three MRT stations. Another one would be the Punggol Matilda estate, because it has the unique feature of having the pedestrian veranda that can connect the residents all the way to the beach," said Nicholas Mak, Executive Director for Research and Consultancy at SLP International Property Consultants. Another common feature -- the three new areas will come with cycling paths and pedestrian networks. Each area will take 10 to 15 years to complete. SINGAPORE — Community gardens, huge parks of up to 10 hectares, walkways lined with greenery and landscaped decks integrated with housing blocks. Amenities like these will feature prominently in the three new housing estates of Bidadari, Tampines North and Punggol Matilda, the plans for which were unveiled yesterday at an exhibition at Toa Payoh HDB Hub. Together, these estates will yield 40,000 new public housing units. Speaking at the exhibition, National Development Minister Khaw Boon Wan said that promoting “pervasive greenery and community gardens” will be one of five characteristics of every new town, or what he described as the “next generation of housing”. The others are encouraging interaction and healthy living among residents, as well as energy efficiency, recycling and higher productivity be it in refuse collection or the construction of the flats. “As we rapidly expand our building programme to create new precincts in new towns, my instruction to HDB is to seize the opportunity to build on our strong foundation and to advance our social mission. Every new town must be better than the previous one,” Mr Khaw said. On the three new upcoming towns - which are slated for completion over the next 10 to 15 years - Mr Khaw pointed out that the development plans will “capitalise on their distinctive character to bring about a unique identity and living experience”. “The planners have carefully built on each estate’s history, distinctive local flavour and features,” he said. Applications will open for a Build-to-Order project in Punggol Matilda in the BTO exercise next month. Buyers can expect units in Tampines North and Bidadari to come on stream in the second half of next year and 2015, respectively. HDB said the pricing of projects in these estates will depend on the location, design and the different attributes of the flats such as floor area, design features and orientation, as well as the resale prices of nearby HDB units. Most analysts whom TODAY spoke to expect the projects in Bidadari to be the most popular among the three new estates, due to its centralised location and links to transportation nodes. PropNex CEO Mohamed Ismail, however, felt that Punggol Matilda could potentially be most attractive. “Punggol is attracting a lot of attention, mainly because of lifestyle amenities and facilities,“ he said. All three new estates will have extensive cycling and pedestrian networks. In terms of public transport, Bidadari will be served by the North-East Line (NEL) and Circle Line (CCL), while Punggol Matilda will be near the Punggol LRT line. New bus interchanges will also be built in Bidadari and Tampines North. Chris International Director Chris Koh noted that currently, Tampines North is the least accessible by public transport as there are no MRT or LRT stations in the vicinity. Analysts also wondered whether Tampines North would be classified as a mature estate given that it is part of the larger Tampines town, leading to its flats being priced higher. SINGAPORE — Tampines North, with an estimated 21,000 dwelling units spread across 240 hectares, will be added to the existing Tampines Town. Envisioned as the “green shoot” and extension of Tampines Town, the new estate will consist of four housing districts — Park West District, Green Walk District, Park East District and Boulevard District — each with a unique housing design. The first housing parcel in the Park West District will be launched in the second half of next year. A Boulevard Park — featuring a stretch lined with seasonal flowering trees — will run through the estate, providing residents with a seamless connection from Sun Plaza Park to Sungei Api Api. Community spaces and facilities such as childcare centres will be located along the park. A second major park, Quarry Park, will also be created and could feature a quarry pond, inspired by Tampines’ history as a sand quarry site. Apart from the two major parks, smaller ones will be scattered across the estate, and linked to one another by a pedestrian and cycling network weaving through the housing districts. A landbridge will also mark the gateway into Tampines Town, which will consist of 90,000 units with the inclusion of Tampines North. This bridge will link the Quarry Park to Sun Plaza and Boulevard Park, allowing Tampines North residents to connect with the rest of Tampines Town. Tampines North is one of three new housing areas being showcased at HDB’s “Future Homes, Better Lives” Exhibition this evening (Aug 29) at the HDB Hub Atrium. The exhibition showcases the broad development plans for three new housing areas — Bidadari, Tampines North, and Punggol Matilda. It will be held from today to Sept 15. SINGAPORE — The 93-hectare Bidadari estate, with 11,000 housing units, will feature a lake inspired by the former Alkaff Lake Gardens. The Housing and Development Board (HDB) has envisioned the estate as a “tranquil urban oasis” for residents. There will be six neighbourhoods — Alkaff, Bartley Heights, Sennett, Park’s Edge and Woodleigh — with the first housing parcel in Alkaff Neighbourhood to be launched by 2015. The new Alkaff lake will be located in a new Bidadari Park, of around 10 hectares. The park will integrate an existing Memorial Garden commemorating the heritage of Bidadari Cemetery. When the estate is ready, residents can access the nearby Bartley and Woodleigh MRT stations through pedestrian and cycling pathways. A 20-metre wide greenway, lined with rest spots, commercial and communal facilities, will also cut across the estate from Bartley Road to Upper Serangoon Road. A town centre called Market Square will feature public housing integrated with community facilities and a bus interchange. To bring back the rich and fond memories of Bidadari, the estate will feature a Heritage Walk showcasing stories of Bidadari’s history and contributions of prominent personalities, including Syed Shaik Abdulrahman Alkaff, a famous merchant and landowner whom the Alkaff Lake Gardens was named after. Built in 1929, the garden was an attraction in pre-war colonial Singapore. In its heyday, families rowed boats in the lake and dating couples frequented the surrounding man-made hills. While the garden survived the Japanese Occupation, it was bought by a realty company in 1949 and subsequently redeveloped into a school and a private residential estate. Bidadari is one of three new housing areas being showcased at HDB’s “Future Homes, Better Lives” Exhibition this evening (Aug 29) at the HDB Hub Atrium. SINGAPORE — To provide residents with a greater sense of spaciousness, the Housing and Development Board (HDB) will be introducing a new form of housing with a landscaped deck and hybrid car park at Punggol Matilda. This concept consists of housing blocks built around precinct spaces located on elevated decks. Car park facilities are provided beneath it. There will be longer distances between buildings. Integrated landscaped decks also provide “door-step” accessibility to the precinct amenities. The HDB has identified a few suitable sites in Punggol Matilda to be designed with this new housing form. About 500 units will be launched next month. The new Punggol Matilda estate was named after the Matilda House, a colonial house built in 1902 at Punggol’s waterfront. It inspired architects to include verandahs and colonnaded walkways into its design. Punggol Matilda will thus feature open lawns and dense tree groves to resemble the tropical fruit orchard that once surrounded the house. One of the oldest houses here, the property was given conservation status by the Urban Redevelopment Authority in 2000. When fully complete, Punggol Matilda, a waterfront housing district, will consist of 8,000 units that are expected to house about 28,000 residents. The development of the district is part of the Phase 2 master plan for Punggol New Town which was unveiled in October last year. To connect residents to the waterfront, there will be three corridors across the estate. The central corridor, along Punggol Field, is planned as a community street with pedestrian-friendly features such as an “urban verandah”. The two-storey high verandah will provide shelter for residents walking from the waterfront to future commercial developments. The community street will have amenities such as a proposed waterfront shopping centre, eating houses and shops to serve the residents. The other two corridors are envisioned by HDB as boulevards lined with trees. Punggol Matilda is one of three new housing areas being showcased at HDB’s “Future Homes, Better Lives” Exhibition this evening (Aug 29) at the HDB Hub Atrium. FROM lush spaces for neighbourly bonding to cycling trails for healthy living, National Development Minister Khaw Boon Wan promised that each new Housing Board project would be a cut above the rest. "Every new town must be better than the previous one," he said as he unveiled plans for the upcoming Bidadari, Tampines North and Punggol Matilda districts yesterday. These projects will yield 35,000 public homes and 5,000 private units in stages over the next 10 to 15 years. While prices have not yet been released, Mr Khaw gave a glimpse of the amenities which will be on offer. Bidadari, which will offer 10,000 public homes ranging from studio apartments to five-roomers, will have a man-made lake inside a 10ha park which will be a tenth of the estate's size. Punggol Matilda will include an elevated, landscaped deck with verandahs, colonnades and a pavilion resembling the iconic Matilda House, after which the district is named. The south-western Punggol district, which will have 8,000 HDB units, will also have boulevards leading to a new waterfront shopping centre. At Tampines North, which will eventually have 17,000 HDB flats, residents can unwind at a new shopping centre, which will be integrated with the bus interchange, or at the estate's two parks. A pond with a sandy beach is also on the cards, a nod to the area's past sand quarries. Each town will have several common amenities, including public spaces such as community gardens, where residents can mix with one another, said Mr Khaw. "They create a quality living environment where families and communities can grow." These new estates will feature more greenery. At Bidadari, for instance, a canopy of mature trees along a stretch of Upper Aljunied Road will be preserved, and the road itself will be converted into a pedestrian walkway. Cycling and pedestrian networks will also be a part of every new town, to promote healthy lifestyles. "We will look after the interests and safety of pedestrians and cyclists... We will encourage more to cycle and walk rather than drive," said Mr Khaw. All future towns will also be energy efficient and have separate chutes for recyclables, he added at the launch of an exhibition yesterday featuring these plans at the HDB Hub in Toa Payoh. It runs till Sept 15. Punggol Matilda's new homes will be the first to be launched, with 500 three- and four-room flats on offer during next month's Build-To-Order (BTO) exercise. Tampines North's initial batch of BTO flats will go on sale in the second half of next year, followed by Bidadari's in 2015. Blocks in these areas will be up to 17 storeys high. Details will be available closer to the launches.